Here’s my answer – it all depends on what your online goals are. If what you’re doing is more of a hobby or form of side cash, then you might be able to get away with a Facebook page or other social media presence. HOWEVER, if your business is your primary source of income, and you want to ensure the long term success of your business, then you will need a website. Your website can serve as your 24/7 sales & marketing rep that never calls in nor asks for a raise. It can also serve to generate leads, sales, and/or clients (when everything is set up properly). Thus, your website is an asset to your business. 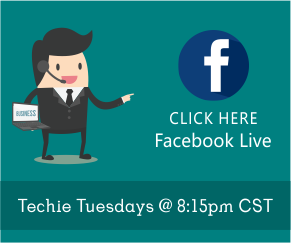 Having your own online presence shows that you have invested in yourself and your business. If what you’re doing is more of a hobby or source of side cash, then this could be true. However, keep in mind that you are on “rented land”. For instance, when it comes to Facebook pages, Facebook could always change their rules which could impact your business. Having your own website (your own online space) ensures you are in full control of your online presence. As I have mentioned on a past blog post (Your Own Website vs. Your Own Social Media Page), you could make the most of your website and social media page for maximum results. This will all depend on how large and complex your website is. If you’re looking to build an online ecommerce store with at least 100 products and the ability to accept credit card payments on your website, then you would be looking to invest at least $3,000. However, if you need a basic “online brochure” – something that talks about you, your products/services, location, contact info, etc., then it would be less than $1,000. SIDE NOTE: I offer five different website creation packages depending on your budget. You can check out my package deals here. This would depend on whether you want a hand coded website or one that runs off a content management system (CMS). The most common CMS is WordPress, and in summary it makes it easy to build and update a website without having to touch any code. I for one have taught many clients how to build and update their own WordPress websites. There is some maintenance and upkeep required to keep a WordPress website efficient and secure. However, there’s nothing technical involved. It’s a matter of clicking on some buttons. There is also a way to automate updates for your WordPress website (I teach this to my clients upon request). If you don’t like the idea of messing with code or any sort of programming, then having a WordPress website makes life so much easier. I would agree that there is so much to choose from. After all, you got Weebly, Wix, and a number of other similar services out there. Even I had a Weebly website for a while. Although Weebly provided a very good drag and drop editor for updating my website in real time, in the long run I was paying more for my Weebly account. It actually cost me more to get my domain and hosting through Weebly compared to registering my own domain, setting up my own hosting account, and installing the WordPress software onto my domain. Also keep in mind when it comes to Weebly, Wix, and other similar services, you’re basically on “rented land”. If Weebly or Wix decided to shut down and close their doors, then your website would go down with them. Then it would be an elaborate mess trying to migrate all your content. Bottom line: if you want the most cost efficient route that also ensures the long term success of your business, I recommend getting your own WordPress website (registering your own domain, setting up your own domain, and installing the WordPress software onto your domain). You can find out more here. How would it feel when the next time you talk to someone about your business and they ask if you have a website, you could either give them a business card with your website? Or send your website link to them? How do you like the idea of having an online asset that contributes to your credibility and shows you mean business? If you’re serious about the long term success of your business, and if you like the idea of having a 24/7 sales & marketing rep that can help generate leads, sales, and/or clients even while you sleep, then I encourage you to invest in your own WordPress website. You might also be wondering – why go with Powerful Digital Solutions (PDS)? I’m all about helping the “little guy” compete against the “big boys” so to speak. If you’re ready to take your business online, then check out my website creation package deals here. If you’re not in a position to invest in anything today, I get it. I’ve been there. Maybe you just recently made a large investment of some sort. Or it’s just not the right time for one reason or another. I don’t want you to leave empty handed. You’ll want to check out my free resource below. I want this 5 pg cheat sheet! I'm Andrew Martinez, the owner of Powerful Digital Solutions. My goal here is to bring you valuable content related to WordPress, websites, and your online presence in general. Does Your Website About Page Give an Excellent First Impression of You and/or Your Business? 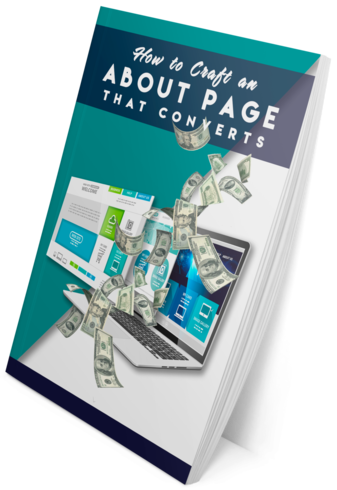 Sign up for your FREE 5 page cheat sheet and find out how to craft a high converting About page that will really WOW your prospects and visitors.